Successfully Added Gadget Walking + Hiking + Climbing Stick to your Shopping Cart. All in one, walking/ hiking/ climbing stick for gadget lovers who want exercise, but want to do it in gadget style. 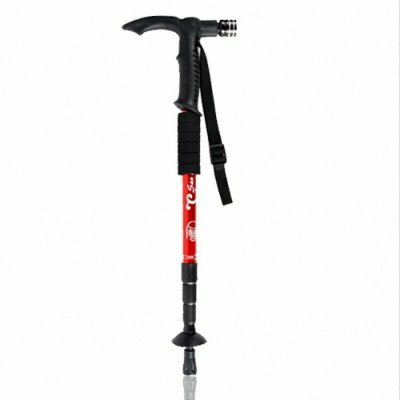 Made out of high quality aluminum and plastic, this mountaineering accessory comes with almost everything you could get out of a walking stick to safely and comfortably spend a day in the wilderness. It features a expanding and collapsing design for multiple purposes and people's heights, a break apart design for easy storing, a built in high brightness LED flashlight which can be tilted up to 90 degrees, a built in compass, and Chinavasion even includes a removable tip for extra grip and stability in snow. An absolutely excellent walking sticks with gadget flair, direct from China..